I wrote a post this week for Global Access Partners’ Open Forum – Putting a Value on the NBN – because I am astounded with the difficulty everyone seems to be having in quantifying the benefits a standardised national broadband network will bring to Australian society. 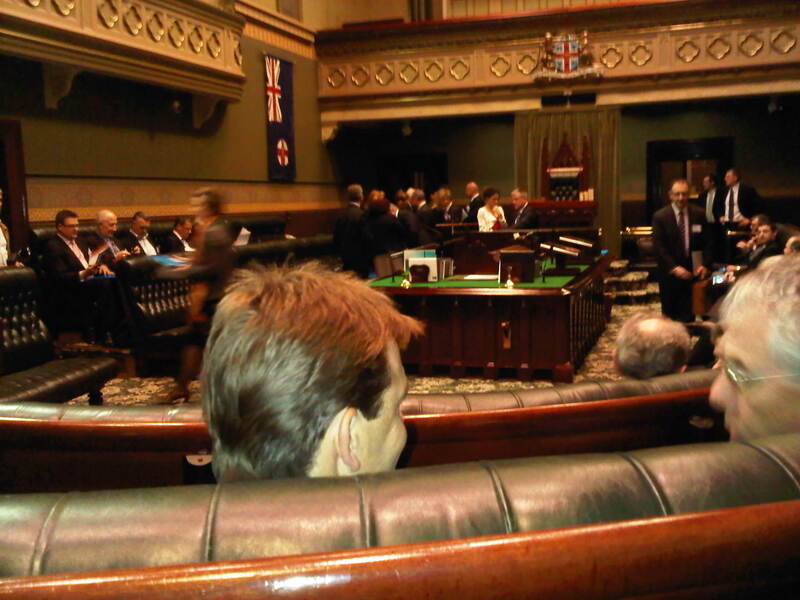 It all started a year ago, when I heard the figure of $32 billion referenced at a Global Access Partners conference (picture left is a view from my seat in NSW Parliament House, where the event was held). $32 billion was the economic benefit calculated in 2008 that the NBN would bring by providing the data connections required to rollout highly-accurate GPS systems for use in areas such as agriculture, mining and engineering. Given the resources boom we are currently experiencing in Australia, and the increasing pressure to increase crop yields and food production efficiency in agriculture, that figure of $32 billion is probably now even higher than when it was calculated back in 2008. We also have a carbon tax due to come into operation in 2012, and the documented environmental benefits from precision GPS-guided machinery will have a direct financial impact on organisations liable under the new legislation once it comes into operation. Last night, at a Federal Government committee meeting on the NBN, CEO Mike Quigley got a grilling about NBN Co’s progress – but the real need at the moment is for government bodies, industry and community groups, with a vested interest in seeing the NBN rolled out, to quantify where possible the benefits the NBN will bring to their area of operation.